Most places in America that call themselves an Irish bar follow a pretty standard recipe: give it a Gaelic-sounding name, throw some flat screen TVs on the walls, get a menu of fried finger foods and make sure there’s a touch of wood paneling to tie the room together. They tend to attract customers who prefer to channel the Irish’s love of drinking over any of the rich history and traditions embedded in the country’s public houses. And more often than not, the kitschy shamrocks on the walls and on-tap Guinness do little to hark back to the actual watering holes in Ireland, which have live Irish music going for hours a day, feature Irish whiskeys beyond the basic Jameson and load up their menu with pub-fare specialties like bangers and mash. 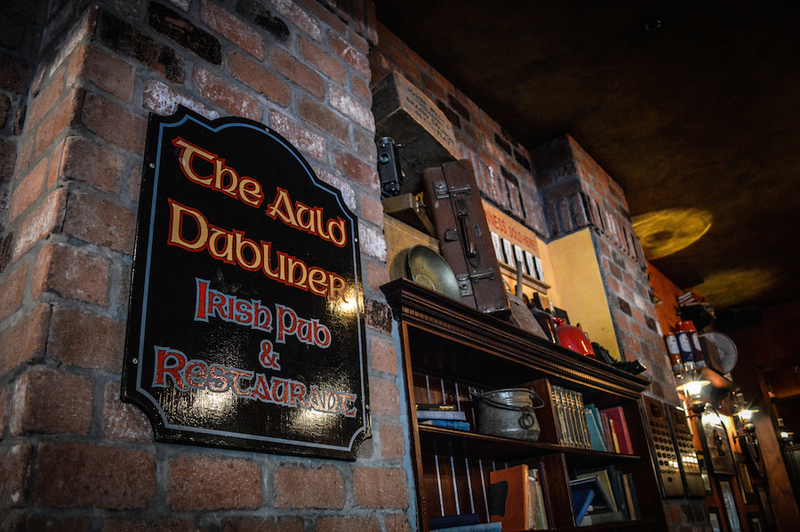 But Long Beach’s Auld Dubliner—whose 10th anniversary party is this Saturday—has maintained its position as the city’s premiere Irish-pub experience, an authentic slice of the Emerald Isle dropped in the middle of Downtown’s tourist zone. Copley—who grew up in Limerick, Ireland—and his business partner Eric Johnson have been cultivating Auld Dubliner’s traditional pub atmosphere since building out the South Pine Ave. space and opening the doors in 2004. Copley had moved to Long Beach after spending a summer in college here and, previously, the two were part owners in Limerick’s, a liquor-and-entertainment-license-free Irish venture in Naples. “The Auld Dub,” as it is often called, opened as Copley’s dream pub. 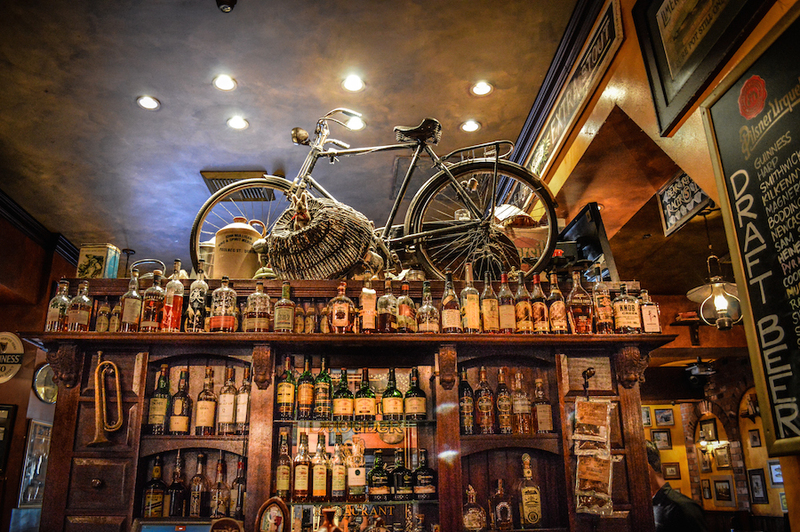 Windows with dusty whiskey bottles line the outside and after entering through the painted wood-and-glass doors, customers are drawn into the endless nooks of the memorabilia-lined, all-wood interior, where a bar is stocked with (among other things) more than 70 Irish whiskeys. The menu features traditional pancake-like boxtys and beef stew alongside high-end offerings like steak and scallops. On Sunday afternoons, an Irish band always comes in to play foot-stomping pub songs. General Manager Chris Caldwell—a fourth-generation bartender from Donegal—was instantly attracted to the space. He came in a few months after it opened to grab a bite to eat and was impressed with not only the food, but also the wide selection of craft beer and small-batch liquors, perhaps buzz words now, but hard to find in bars 10 years ago. “They were almost too far ahead of the curve, I think,” Caldwell. After opening in Long Beach, Copley and Johnson got offers to seed their idea elsewhere and open more Auld Dubliners, first in a ski town near Lake Tahoe, then in Henderson, Nevada, Bolingbrook, Illinois and, eventually, a few closer to home in Tustin, Orange and Riverside. 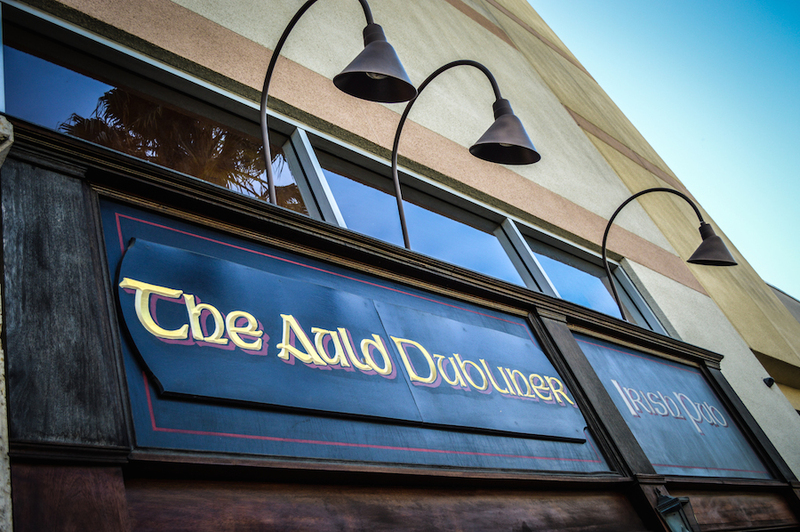 Long Beach’s Auld Dub remained isolated from these expansion projects and with photos of Copley’s father on the wall (along with his vintage ’40s bicycle serving as the bar’s centerpiece), was always home. Partially inspired to return to local by the death of their friend Mark Bixby, Copley and Johnson sold off their stake in the other Auld Dubliners in 2011 and used the money to leverage themselves deeper in the Long Beach restaurant world, first with Legends (which they co-own) and more recently with Boathouse at the Bay, which opened earlier this year in the former McKenna’s on the Bay location. Despite ten years of success with the Auld Dub, Copley is not one to stay content with his pub’s offerings and he returns to his homeland at least once a year to visit family and observe the latest industry trends that he can then incorporate into operations here.